Peek-a-boo! I see baby’s new favorite game. 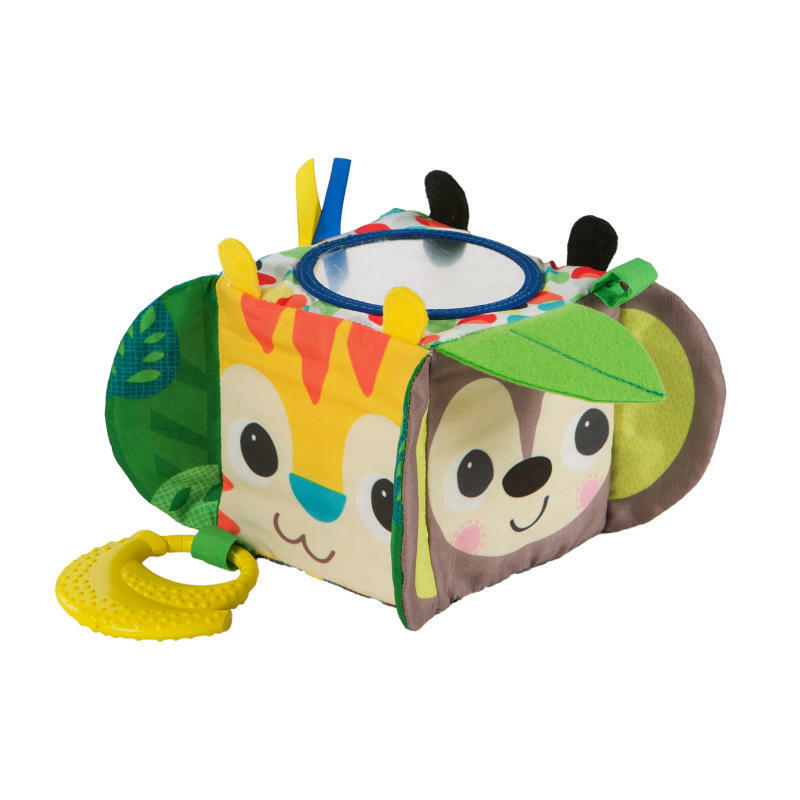 With every squeal and squeak, your little one will laugh herself into a jungle of fun. Reveal the surprises inside with the flip of a floppy ear or the crinkle of a colorful leaf. Spin your way through this safari-themed toy from Bright Starts to discover friendly faces and different activities on every side. From the baby-safe mirror to the banana shaped teether, your baby won’t tire of this block full of fun. Give the toy a shake and hear an unexpected chime from inside! Attach it to the stroller or carrier for on-the-go entertainment. Your little monkey will go bananas over this block and all its peek-a-boo surprises. Made for party animals 3 months and older. Have a block party with peek-a-boo surprises! Dimension (in) 3.75" x 3.75" x 3.75"